Given the critical impact of these issues in creating a viable ISF, MNSTC-I prioritized the creation of a supply system and the training of Iraqi units and higher commands on logistical issues. When we were sending the Special Police Commandos into Samarra and they were going to stay there for several months . . . we assumed that the sustainment costs would come out of the operations and maintenance accounts from the Iraqi Government. Well, . . . most [Iraqis] were kind of looking to us. But we said, ‘If we do that, if we expend those funds for operations, we are not going to have the money to do the training or the initial supply of units that are scheduled to stand up in the future.’207 The choice was a difficult one between immediate needs and building future capacity; nevertheless, the MNSTC-I staff attempted to achieve compromise with its Iraqi counterparts. Working with the new Iraqi Government to stand up the combat service support systems that would provide basic provisions for the ISF proved to be exceedingly difficult as well. The MNSTC-I staff assisted the US Embassy advisors working with Iraqi ministry officials to ensure they were purchasing the correct equipment and in the correct quantities for those systems. The Coalition assisted with the construction of a huge national depot in Taji to receive the supplies coming in from Baghdad International Airport. This facility provided the physical storage for the supplies, but the space had to be matched with a cataloging system to make it available to the ISF distribution system. 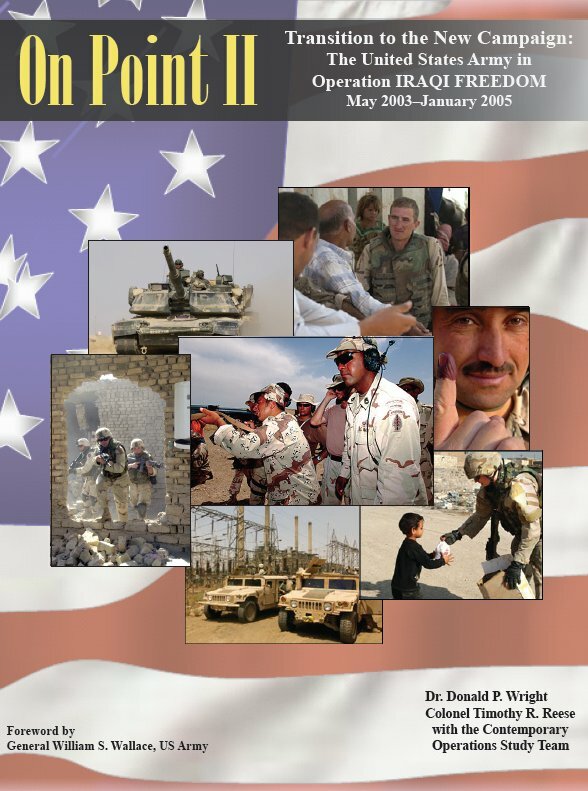 Not surprisingly, the cataloging system introduced by the Coalition was new for the Iraqis and logistics personnel had to be trained to use the system.208 But, as Major Levesque, an officer involved in establishing the ISOF logistics staff, recalled, there was a basic cultural gap between American expectations and Iraqi experience with logistical systems and record keeping: “It was the things that are common knowledge to us—things we do every day—that these guys just didn’t have any concept of. We’re talking about crawl, walk, run, and we were pretty much [in 2004] just at the crawl stage with these guys. The Iraqi logistics staff [for the ISOF] probably consisted of no more than three or four guys at that stage.”209 As Levesque implied, the efforts in 2004 were just the very beginning of the MNSTC-I’s efforts to introduce a modern method of providing basic support services to a new professional army. Despite the obstacles, MNSTC-I did make some early headway in arming and equipping the ISF. The Saddam regime had stored literally millions of tons of munitions, but most of its equipment was outdated or stolen by looters when Saddam’s army left their barracks and depots wide open during the invasion of March and April 2003. Still available, however, were stores of AK-47 Assault Rifles, and CMATT decided to arm the security forces with AK-47s because the Iraqis were familiar with them.210 Although police forces are not normally equipped with powerful assault rifles, the MNSTC-I leaders considered the security environment and decided to issue the IPS and other police organizations the AK-47s as well.211 The ISF received more specialized equipment, including French armored vehicles donated by one of the Gulf States, and nonstandard tactical vehicles such as pickup trucks and Land Rovers. Over time, the IIG ordered or refurbished more wheeled and tracked armored vehicles. The need to create the “little cities” was just one piece of that enormously ambitious plan to rebuild and reshape Iraq’s defense and security establishment that few had considered when Coalition forces entered Iraq in the spring of 2003.